The Return of the King is the towering climax to J. R. R. Tolkien’s trilogy that tells the saga of the hobbits of Middle-earth and the great War of the Rings. In this concluding volume, Frodo and Sam make a terrible journey to the heart of the Land of the Shadow in a final reckoning with the power of Sauron. In addition to narrating the prose passages, Rob Inglis sings the trilogy’s songs and poems a capella, using melodies composed by Inglis and Claudia Howard, the Recorded Books studio director. 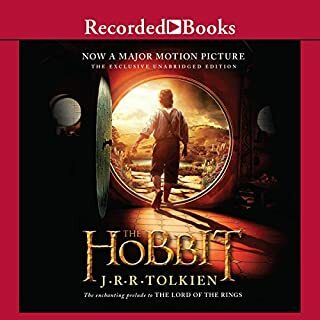 This recording also contains Tolkien’s preface to the trilogy, including a prior history of the ring, and shire habitat, history, and folkways. Very well performed, superbly written, a great story well told. 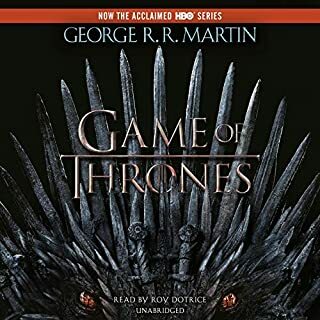 The appendices following the end of the book fill in some origins and fates that listeners may have. Eh. The bit about the Hobbits was ok. I guess. Voice acting was passable, though the range should have been limited to 2. maybe 3 charcters. Voice actor should not sing, makes all songs resemble Chatholic hyms. 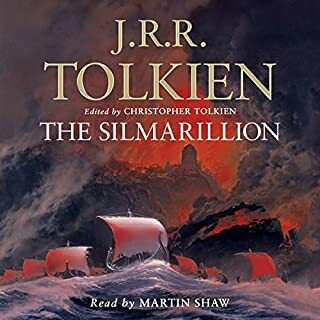 Rob Inglis' narration is excellent as always, but Tolkien's story ends about halfway through, and the afterstories are wearisome and unnecessary. The story is great, the performance has no flaws I really enjoyed it. The problem is the tracks are out of order. 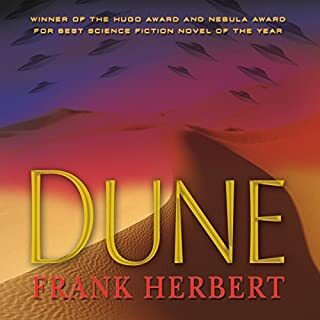 The reading starts 10 chapters in and by the time you get to around chapter 21 it gives you the review of the last couple books then starts the book.. something has going wrong in the numbing of the tracks.. make it hard to understand what was going on. #Audible1. Rob Inglis is quite simply superb. Matchless. Peerless. In narrating the whole Lord of the Rings trilogy he gives a command performance. He reads every word of Tolkien's original, verbatim, as written and unabridged. He does all the voices, speaks in all the languages, sings all the songs - himself. Simply the best. You'll be swept away to Middle Earth by this extraordinary telling of the Return of the King. I don't know why it took me so long to listen to them but they are a masterpiece for sure. 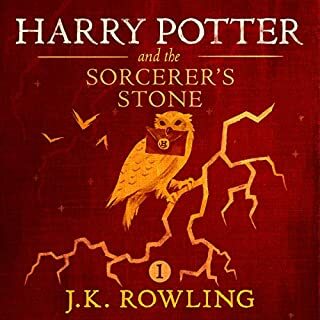 This audio book is one I revisit each year, I love it so much. The reading is exciting, powerful, captivating and wonderful. 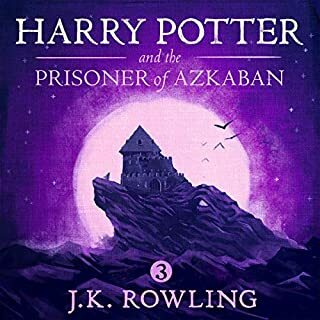 This book includes Book 5 and Book 6 of the Lord of the Rings trilogy books. See end of review for the Table of Contents for these two books. 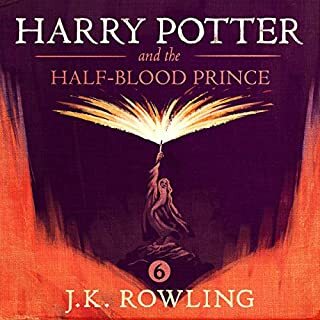 Unfortunately, the audio book starts with Book 1, Chapter 8 !!! 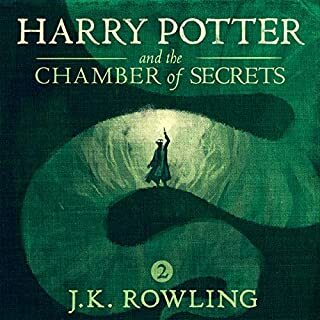 In order to start the book at the beginning, you have to start at Audible Chapter 22. 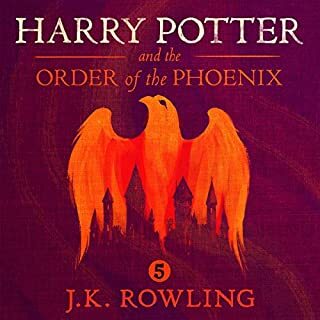 Interestingly Chapter 7 of Book 1 and Chapter 7 of Book 2 are adjacent to each other in the audio book as Chapter 35 and Chapter 36. Those chapters are far apart in the tale! This problem needs to be fixed. It distresses me that I have to slam the rating for a really good book because the audio book is all screwed up. Here are the chapters of the Tolkien book. When you hear the narrator start a new chapter, he mentions these chapter titles. 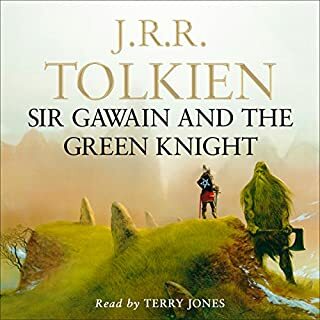 Also note that Audible usually takes more than one chapter to cover a single Tolkien chapter. - the listener must start at Audible Chapter 22 and listen through Audible Chapter 35. - then, go to Audible Chapter 2 and listen through Audible Chapter 20. - then go to Audible Chapter 36 and listen through Audible Chapter 41. There is a content error -- starts with Chapter 8. Like the title says, there is a content error. 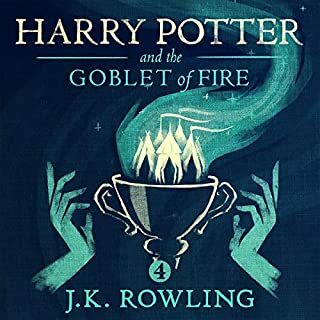 The reading starts on Book 5, Chapter 8. Then about halfway through, the book starts back where it is supposed to. 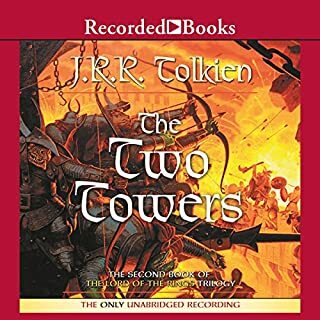 Where does The Return of the King rank among all the audiobooks you’ve listened to so far? 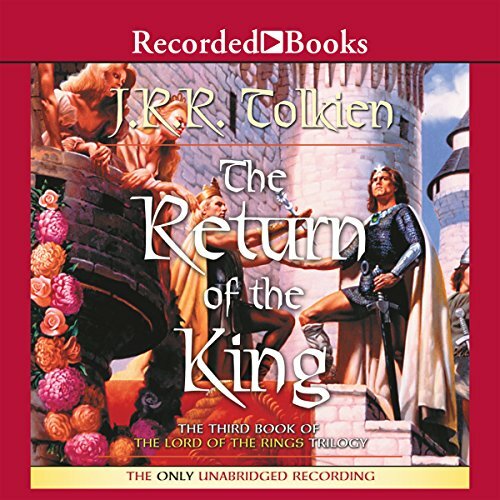 What other book might you compare The Return of the King to and why? 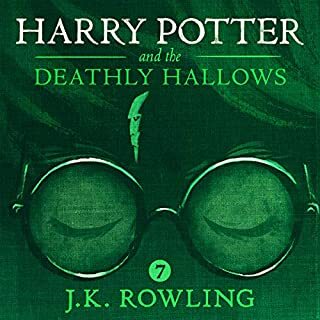 Two juvenile series -- Oz and Harry Potter, all inspired by the classic Beowolf, came to mind during this book. There certainly seems to be a chain of inspiration among every hero adventure series, no matter the characters or settings. I both laughed out loud and cried. 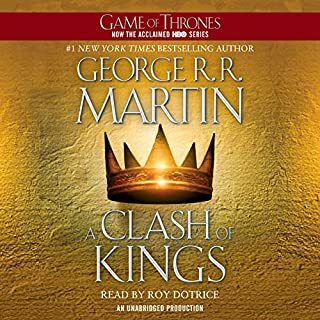 I listened to the audiobook on a road trip because I was in the middle of reading the books and they don't like you to read while driving. It couldn't have made the travel more delightful. If I could, after this experience, I'd walk around listening to a great audiobook all the time, and never engage in real life again. Content Error. Chapters mixed up. Begins at chapter 8. Can't even find the end of the book. 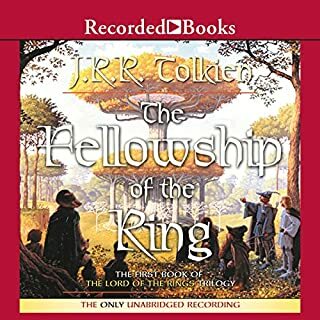 I've listened to Fellowship and Two Towers on audiobook by the same narrator, and I had been trying to find Return of the King on CD from a bunch of different libraries and no such luck- but now it's finally here! Just as good as the last 2 simply great! This book was one of the best books I've listened to and I would recommend it to anyone. The extra information at the end is really interesting and it's nice to know more history behind it all. How strange it feels to give this book only four stars, and feeling generous in doing so. It's been one of the five-star books of my life. I've re-read the Ring trilogy at least a dozen times, read it to my daughter at bedtime 2-3 pages at a time over the span of months. 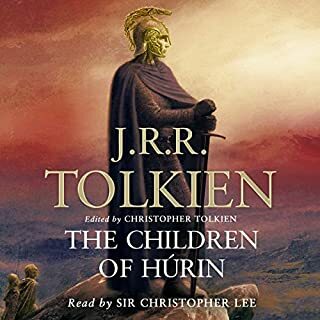 This is my first listen, but I don't think the audio format diminished it at all -- on the contrary, Rob Inglis is rightfully lauded in Tolkien circles for his legendary narration. I'm tempted to blame the movie, which may have been the best entry in the trilogy, the one that won the Oscar. The tale of how Gollum got the ring starts it off (Gandalf tells it to Frodo in Tolkien's Fellowship), Shelob is saved for The Return (in Tolkien it is the cliffhanger ending to Towers), and much of what happens after Aragorn is crowned is omitted, most notably the Scouring of the Shire, where the returning hobbits liberate the Shire from Saruman. But it's not the fault of the movie. Asked about Shelob, director Peter Jackson said there was little to propel the story of Frodo and Sam in The Return, and he's right -- the three chapters leading to Mount Doom are just drudgery (for them). Having Faramir charge to his doom to the sound of Pippin singing a sad song is a welcome respite from the repetitive descriptions of so many battle scenes. Showing the Paths of the Dead instead of having Legolas recount it is fantastic. Showing is also better than telling Gollum's backstory -- without that prologue, the book's best character would hardly be seen until the climax at Mount Doom. 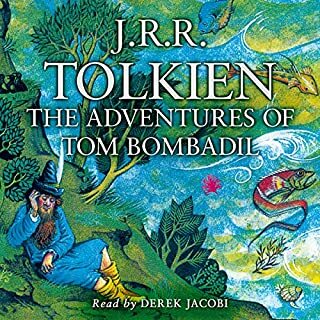 As for the Scouring, it is as much a shame to leave that out as it was to omit Tom Bombadil and other Shire-side episodes from the Fellowship film, but the truth is that that is the only good chapter out of all that comes after Mount Doom -- five hours of epilogue after the story reaches its climax ten hours in. Yes, there are many happy returns in The Return of the King, but that is just too much, much of it too tedious. And then there are three hours of preface and appendices, which you can easily skip, unless you are a die-hard Tolkien completist. Even a longtime devotee like me, having skipped it in most of my re-readings, found it difficult to plow through them in audio, as I felt I must. Awesome. Just Remember to Bring a Map. A completely satisfying, surprising, edifying and moving end to the long saga. If you like this kind of thing (and I do) then you will enjoy Lord of the Rings beyond all measure. There is nothing I can say to convince you otherwise if your tastes don’t lie in this direction. I admit that I tackled it, at least in part, out of a desire to repair an omission. Back in high school The Hobbit and its sequels were all the rage; you couldn’t walk into the meanest bookstore without seeing a poster-size version of Tolkien’s map of Middle Earth. And while I read The Hobbit for a class I never embarked on the three following volumes. Laziness? Yes, in part. But also my aversion had something to do with the kind of people who were reading Lord of the Rings at that time: players of Dungeons and Dragons, geeks of the first water, fellows who would argue for hours about the respective powers of about Gandalf and Sauramon. Of course, these books deal with some very sophisticated themes (temptation and sin, redemption and renewal, the wellsprings of courage and perseverance, the choice of revenge or forgiveness) and it isn’t surprising that 16-year-olds would gravitate to the details rather than see the larger sweep of the story. For myself I’m glad I waited. What some dismiss as a quaint fairy story is in reality a profound meditation on all the themes mentioned above and more. One practical piece of advice: make sure you have a good map. None that I found online covered every location mentioned in the story. But the one that worked best for me was drawn by Christopher Tolkien and is available at, among other places, the Tolkien Gateway (again, a little too D&D for me, but that's where the map is). Tolkien has a disconcerting habit of mentioning places and events from the distant past that his characters are well aware of, while you are left guessing. (And, incidentally, no map I found showed every place he mentions.) A passing familiarity with Beowulf and the Norse Sagas made me realize these asides were echoes of those works, touches that made the story sound even more like old lore from a land that actually existed. 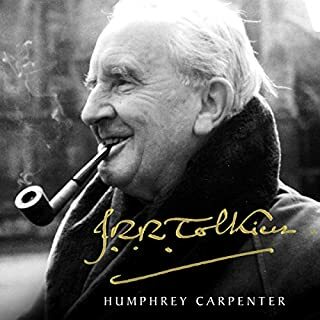 For those interested, there is a long essay by Tolkien at the end of this recording that covers that lore and history; I skipped it, happy to soak in the towering power of the story without all the enthusiast's details on the different strains of pipe weed or who taught the Hobbits the art of building. Finally, a note on Rob Inglis’ superb performance. He is a boon companion to have on such a long journey. His sonorous delivery, his unerring ability to reflect the mood of the words he reads, helped bring out the inner meaning of much of the tale. May the Hair On Your Toes Never Fall Out! We are at the end of our war trilogy. Some people like to call this book/movie the story with a thousand endings. I disagree. There are several things that have to be wrapped up in this story. Will the hobbits ever get home? Will Aragorn ever become king? Will Frodo and Sam fulfill their quest? Will your favorite characters still be standing when it is all over? Will good triumph over evil? Keep your eyebrows crossed and hang on to your walking sticks because this book is exciting! I have read it so many times, but it never gets old for me. I think over all that the Lord of the Rings is one of the best stories about friendship and enduring to the end that I have ever encountered. The history and poetry are delightful. Maybe I am biased because I am a Tolkien nut, but this book and the other two in the trilogy are fantasy at their best. If you can hang in there and if you are patient enough, the Appendices at the end offer some interesting back story you won't get anywhere else. I hope you like it as much as I do.